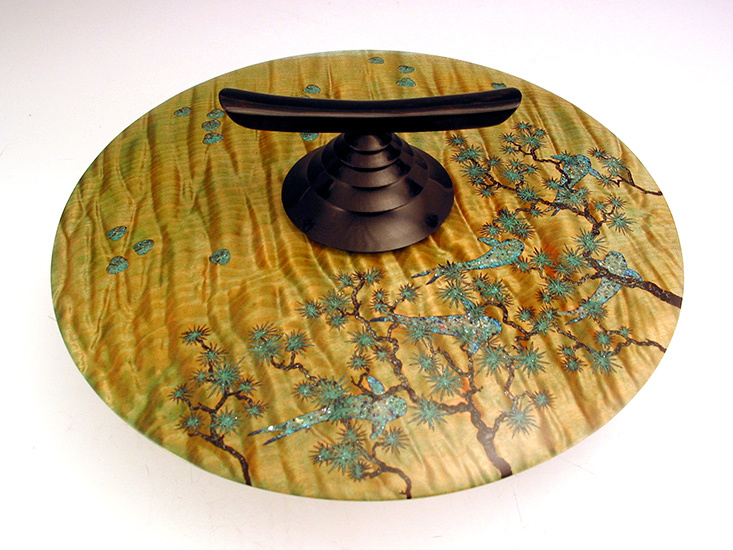 Materials: Quilted Maple, African blackwood and ebony with mineral crystal and mother of pearl inlay, metal acid dyes, and a lacquer finish. Comment: Imagery depicts koi viewed through pine branches. 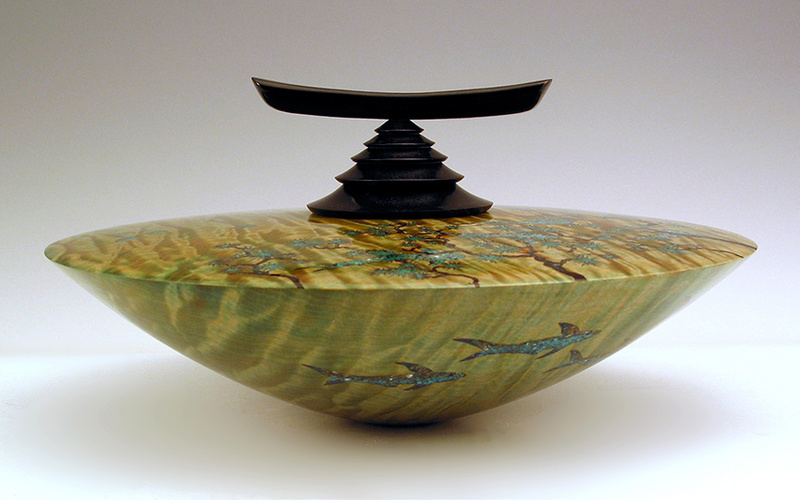 The side view of the vessel shows these same koi underwater.